Each year, academics and development practitioners meet at the World Bank’s Headquarters to present their research and discuss the challenges of urbanization in developing countries. Check back in the coming months for updates regarding the 3rd Annual Urbanization and Poverty Reduction Research Conference on Monday, February 1st, 2016, which will again be co-hosted by IIEP, the Growth Dialogue, and the World Bank, and will discuss climate change, the environment, and their interaction with sustainable urbanization. Harris Selod is a Senior Economist with the Development Research Group of the World Bank. His current research focuses on urban development, including issues related to transport and land use, as well as land tenure, land markets and the political economy of the land sector in developing countries, with a specific interest in West Africa. His publications cover a variety of topics in urban and public economics including theories of squatting and residential informality, the political economy of transport infrastructure, the effects of residential segregation on schooling and unemployment, or the impact of land rights formalization and place-based policies. He has been chair of the World Bank’s Land Policy and Administration Thematic Group (2011-2013) and is currently leading a World Bank research program on transport. measurement of freedoms and human development. 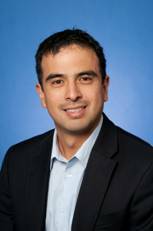 Paul E. Carrillo joined George Washington University in August 2006. His research interests are in applied microeconomics including applications in urban economics and development economics. His research has been published and/or is forthcoming in leading academic journals such as The Review of Economics and Statistics, International Economic Review, Journal of Development Economics, and Regional Science and Urban Economics. Before joining George Washington University, he worked in the research department of the Central Bank of Ecuador and has been a consultant for the United Nations and the Inter-American Development Bank. 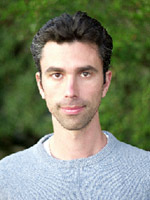 Ram Fishman is an Assistant Professor of Economics at George Washington University. His interests are in the social and agricultural dimensions of groundwater use and depletion in India, as well as in understanding the role of social discounting of the future in environmental policy. He is involved in the design and field piloting of a novel market based policy instrument for energy and groundwater conservation in India. Read his publications here. 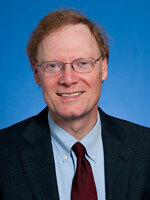 James E. Foster is Professor of Economics and International Affairs at The George Washington University. He received his Ph.D. in economics from Cornell University, holds a Doctorate Honoris Causa, from Universidad Autónoma del Estado de Hidalgo (Mexico), and is an Honorary Member of the SCR, Magdalen College, Oxford. Professor Foster's research focuses on welfare economics — using economic tools to evaluate and enhance the wellbeing of people. This includes work on multidimensional poverty with Sabina Alkire, Director of Oxford's Poverty and Human Development Initiative; and on literacy with Kaushik Basu, Chief Economist of the World Bank. Rémi Jedwab is an assistant professor of Economics and International Affairs at the Elliott School and the Department of Economics of George Washington University. He received his Ph.D. in economics from Paris School of Economics. He was also a visiting Ph.D. student at the London School of Economics for three years. Professor Jedwab's main field of research is development economics, though his work also has strong urban economics and political economy themes. Some of the issues he has studied include urbanization and structural transformation, the economic effects of transportation infrastructure, and agricultural and economic development in Africa. Recently, Professor Jedwab research areas have included the phenomenon of urbanization without economic growth, and his research has been highlighted by The Atlantic's CityLab and the American Economic Association. Professor Malik obtained a BA from Bowdoin College and a PhD from Johns Hopkins University. His primary area of specialization is environmental and natural resource economics; he also has interests in public economics and industrial organization. His research to date has focused on environmental policy design, the economics of crime and punishment and, more recently, management of forest fire risk and adaptation to climate change. Stephen C. Smith is Professor of Economics and International Affairs at George Washington University, where he directs the Research Program in Poverty, Development, and Globalization. He is also a Nonresident Senior Fellow at the Brookings Institution, and an IZA Research Fellow, and has served as a member of the Advisory Council of BRAC USA since 2007. He received his PhD in economics from Cornell University. Smith has done on-site research and program work in several regions of the developing world including Bangladesh, China, Ecuador, India, Uganda, and Former Yugoslavia, and has been a consultant for the World Bank, the International Labour Office (ILO, Geneva), the United Nations Development Programme (UNDP), and the World Institute for Development Economics Research (UN-WIDER, Helsinki). He has also conducted extensive research on the economics of employee participation, including works councils, ESOPs, and labor cooperatives, which has included on-site research in Italy, Spain, and Germany, as well as China and India. Professor Yezer teaches courses in regional economics, urban and real estate economics, and the economics of crime. Recently he authored, The Economics of Crime and Enforcement (M.E. Sharpe: New York) (2014). He received a BA from Dartmouth College, M.Sc.from the London School of Economics and Ph.D. from MIT. He was Rhodes Scholarship finalist and received a National Collegiate Athletic Association Scholar-Athlete Fellowship. He is a fellow of the Homer Hoyt School of Advanced Studies in Real Estate and Urban Economics and served on National Research Council’s Panel on Disaster Research Needs in the Social Sciences. He served as an expert witness for the Federal Trade Commission testifying in connection with the trade regulation rules governing Consumer Credit Practices and Health Spas. His research interests have included migration, facility location, spatial pricing, credit risk in lending, the effects of regulations on credit supply, fair lending, the economic effects of natural and man-made disasters, and economics of crime. He served on the National Research Council’s Panel on Disaster Research Needs in the Social Sciences whose report, Facing Hazards and Disasters: Understanding Human Dimensions, was published in 2006. He was selected for the 45th annual Werner Sichel Lecture Series where his paper, Expectations and the Unexpected Consequences of Public Policy Toward Natural and Man-Made Disasters, was published in The Economics of Natural and Unnatural Disasters.